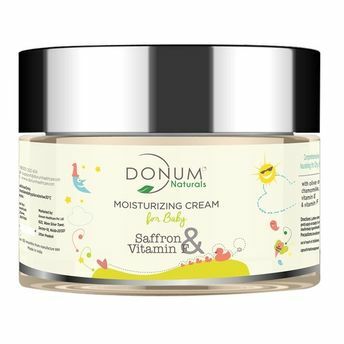 Donum Naturals Saffron, Vitamin F moisturizing cream is a unique blend of Oatmeal, Argan oil, Vitamin F and Saffron and helps hydrate your baby's skin. It helps to relieve skin irritations and diaper rashes. Rich in proteins and lipids, Oatmeal has potent emollient properties to deeply nourish your baby's skin. Saffron contains naturally occurring anti-bacterial properties to purify and enhance your baby's skin glow. 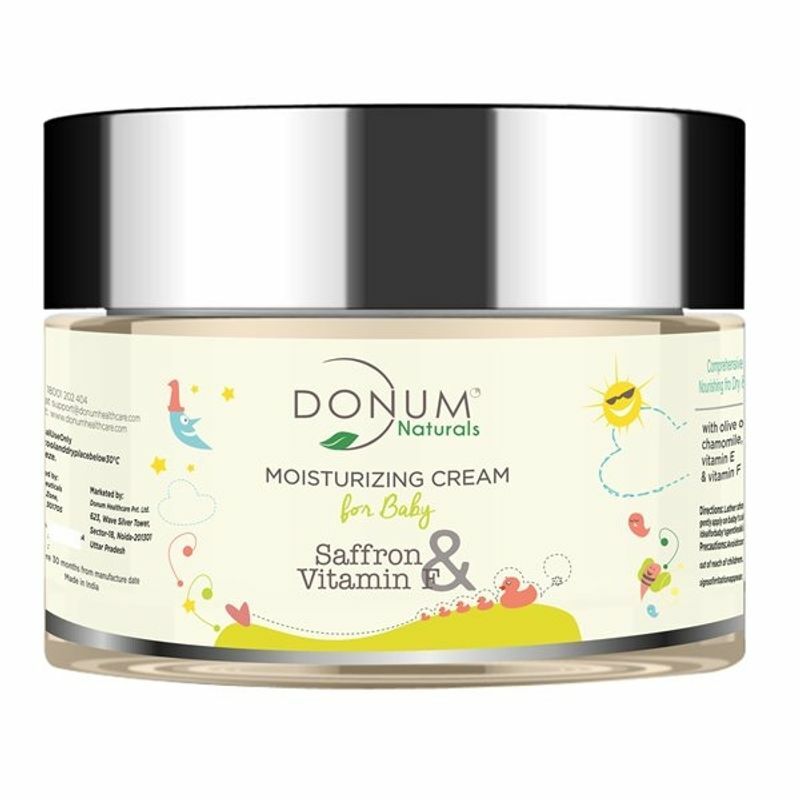 Argan oil and Vitamin F provides rich nourishment to your baby's sensitive skin, and increases its ability to absorb and hold moisture in a natural way.Donum Naturals is a best choice for parents because this formulation is very protective, moisturizing and skin strengthening and also has skin nutrients.By using this baby moisturizing cream on your child's skin, you are effectively, easily and safely helping to replace that thin outer barrier, which also contributes to happy and healthy skin cells.